Thanks to the internet, we all have been exposed to things we could never dreamed of. Some we wish we wouldn’t see. Others, became the greatest inventions of all times. 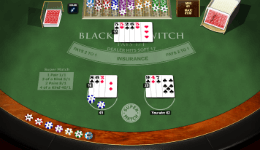 Blackjack Switch was created in 2009 and currently can be found in many land based establishments and online. The special rule here is that you play 2 hands simultaneously and you can choose to switch the second card between your two hands. It’s by far, one of the most exciting forms of Blackjack and definitely the most rewarding one, at least the online version. If you take advantage of the special features it offers, you will get the Best payout blackjack game available online, with 99.87% return. Even higher than what Single Deck blackjacks have to offer. If you want to learn more about Blackjack Switch and all its nuances, keep reading to learn how to play one of the hottest Blackjack games. The game is played just like traditional Blackjack. Standard rules all apply. But as we said, there is one major twist: you can switch cards between hands. This would normally be considered cheating in any other game, but in this form of Blackjack, it’s all part of the fun. Let’s look at an example to better describe how this game is played. You start by placing 2 equal bets and are dealt 2 hands at the same time. Let’s say the gorgeous young dealer whom we’ve goggling over all night deals us a 5 and a 10 in one hand. And then a 6 and a 10 in the other. This gives us a total of 15 in the one hand, and 16 in the other. As we all know, these are both crappy hands. And here comes the best part of Blackjack Switch. We can take the 10 in one hand and swap it with the 6 in the 2nd hand and get two totally new hands. Now we have a total of 20 in one, and a total of 11 in the second. Much, much better. The ability to swap cards to form better hands is obviously a big advantage. Other rules such as being able to double on any total, and splitting up to 4 hands are other positives of the game. The first one is that anytime the dealer has a total of 22, all player hands except 21 will push. It’s a strange rule, but one added in to minimize the advantage of being able to switch cards. The second difference is the payout on all Blackjacks. The majority forms of Blackjack pay 3-2, but in blackjack Switch, the payout is only even money. Not the best rule, but the bottom line, it still pays off. Basic strategy applies using a simple Blackjack chart that tells you when to perform the mathematically correct play. 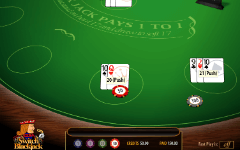 However, knowing when to switch cards and how to use this play effectively will be the key to maximizing profits. As a rule of thumb, you should always try to make at least one great hand. And if you have a total of 16 or 15 in one hand, you should almost always switch cards to rid yourself of the worse starting total. Finally, if you have the opportunity to make 21 by switching, always take it. The optimal strategy was defined by Cindy Liu and you can read it for free here on Google Books. 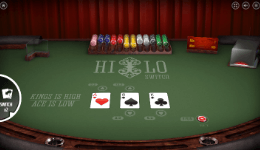 By using a perfect strategy, the online game has a house edge of just 0.13%, so if you were looking for the best real money blackjack to play, you should definitely try Blackjack Switch. Of course, it’s not just about the money; this is one of the more unique games around and honestly, it’s a lot of fun. The only place where you can find this game online are GGL and Playtech casinos. Our #1 choice is Fly Casino, which offers dozen blackjack games and a nice £/€/$ 110 Welcome Bonus. For USA players Bet Online would be the casino of our choice.